Home to Blog to Sibelga retains the label of "Ecodynamic company with two stars"
Sibelga retains the label of "Ecodynamic company with two stars"
The ‘Ecodynamic company’ label is an official recognition for reputable environmental management, conferred on companies in Brussels by Bruxelles Environnement, the Brussels Institute for Environmental Management. It is a reward for the efforts and initiatives undertaken in the field of waste management, energy consumption, mobility and the well-considered utilisation of raw materials. The candidature can be renewed every three years. Sibelga received this label for the first time in 2009, when it was awarded two stars. This year Sibelga submitted a request for renewal and an audit was carried out at the end of April. 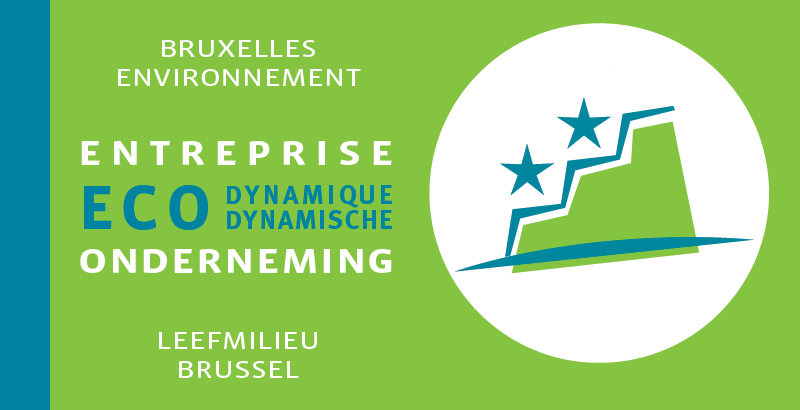 This was successful and Sibelga has once more been awarded the label of ‘Ecodynamic company with two stars’. This is another fine reward for our continuous efforts in the field of the environment. Moreover, the third star is not far off and is therefore an extra motivation for Sibelga to continue focusing on this area.